UW La Crosse Historic Steamboat Photographs Used with permission from the Univ of Wisconsin collection of historic steamboat pictures. 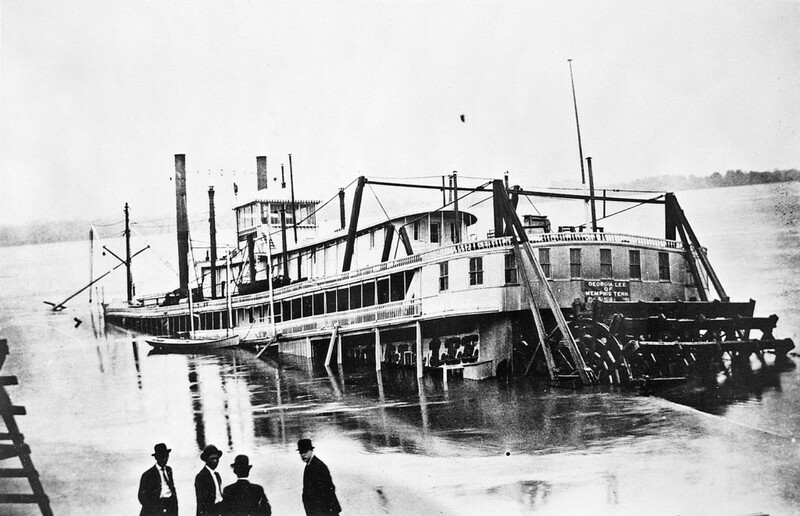 The GEORGIA LEE broke her chains as she was being pulled out for repairs at Paducah Kentucky slid into the Ohio River and sank. Captain Peters Lee was traveling overseas at the time rushed back to oversee her salvage. There is a picture of the GEORGIA taken from a post card showing her refloated but missing her sternwheel under main Lee Line Boat Pictures. The GEORGIA LEE was built 1898. This picture was taken May 1909.